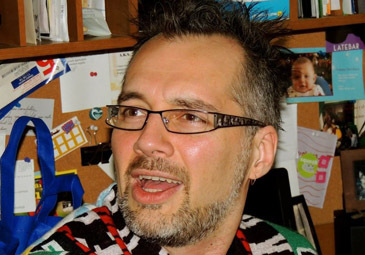 Kevin Hanna is a veteran of five short films, as he continues his journey as a Chicago-based movie maker. “Rose’s Colored Glasses” is his most ambitious film to date, and needed more money than just his usual self financing or screening parties. As many current film producers are doing, Hanna researched the internet and found the solution for raising dollars for his new film….crowdfunding. Crowdfunding refers to a group of individuals who pool their money, usually through websites invented for the purpose, to fund various projects, charitable organizations or as in Kevin Hanna’s case, films. Several crowdfunding websites have sprung up in recent years, including the popular “Kickstarter” and “Indiegogo.” Hanna described this ongoing experience, in an interview with HollywoodChicago.com. HollywoodChicago.com: ‘Crowdfunding’ is the newest money raising technique for filmmakers. What kind of research did you have to do in finding the right website for your new film ‘Rose’s Colored Glasses,’ and what was behind your decision to choose it? Kevin Hanna: I scoured the internet for weeks researching articles about how to create a successful campaign. I compared a few different crowdfunding websites and decided to go with ‘Kickstarter,’ because they practically invented the concept and it seemed to be the most popular site for film production funding. Almost all of articles I read referred to Kickstarter, and that’s how I landed there. HollywoodChicago.com: ‘Rose’s Colored Glasses’ is your sixth short film. How did you finance your previous efforts, and how does this new way of financing give you more potential? Hanna: I financed several films myself, a couple of them with partners, and I have also used screening parties as a way to raise money. For Rose, the scope of the project is exponentially larger than anything I’ve done previously, and I needed a new model for getting the money to make the movie. It is actually a thrilling process, and a bit nerve-wracking. I get to bring the people that want to see my movies into the actual process of making the movie, instead of just bringing them in when the film is done. I think the people part of this approach is essential. HollywoodChicago.com: What is the thread the runs through all your films, and how does that thread appear in Rose? Hanna: The thread that ties all of my previous films together is ‘magic.’ All of the stories in the films I’ve done before – ‘Love Potion #8,’ ‘Brains of the Operation,’ ‘The T-Shirt of Dorian Gray,’ ‘Farewell to Arms’ and ‘The Exorsister’ – all have elements of magic to them in one form or another. My mission is to bring magic and wonderment back to moviemaking, plus it’s got to be funny. 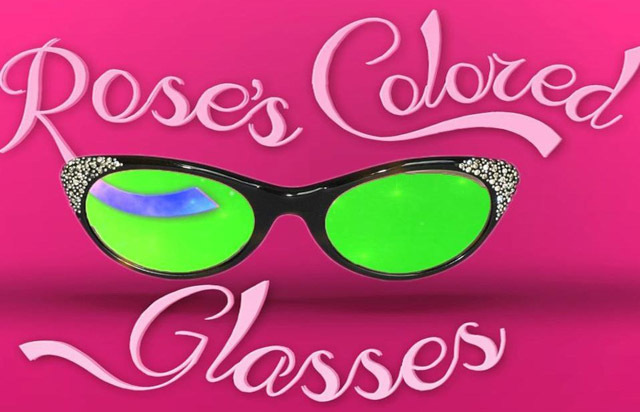 In ‘Rose’s Colored Glasses,’ a character named Rose finds a box of sunglasses that enables her to escape from her life, transforming the world she sees through those glasses into musical numbers. When I’ve talked about the film, I can’t tell you how many people have told me they wish they had glasses like that. [laughs] I wish I had them sometimes. HollywoodChicago.com: You and your collaborators are essentially writing an original musical. What era of the movie musical are you paying homage to in Rose? Hanna: We’re actually tapping into many musical types because that’s how the story is told. There’s a Busby Berkeley-type 1930s sequence, a Bollywood number, a 1980s power rock song, a swinging Burt Bacharach 1960s-style tune, and we finish with a R&B soul number. Once it’s finished, the audience will have definitely never seen anything quite like it. The composer George Zarr has done a dizzying amount of research to ensure that all of the songs sounded authentic, not just an homage or pastiche. HollywoodChicago.com: Then what, in your opinion, is different about today’s approach to the movie musical format? Hanna: I think today’s movie musical numbers are presented in the film more like a music video – as if they just exist on their own – and they take themselves way too seriously. The story within a musical should flow into a song, and flow out just as effortlessly to continue that storytelling. But having said that, I’m glad that movie musicals are still being made, especially on an independent level. It’s encouraging that people still want to see them, since I’m making one. HollywoodChicago.com: What is the crucial element of preproduction in an undertaking like Rose? Hanna: First, a sense of humor. [laughs] But after that, rehearsals and storyboards. Musicals are much harder to do than a regular film, because I’m dealing with choreography and lip syncing, I have to see the film on storyboards before we get on set – every shot, every move and every transition. It’s my blueprint for composing the movie. HollywoodChicago.com: Finally, if you could put on Rose’s glasses and see any situation or scene as a musical number, what would that be…and why? Access the Kickstarter campaign for “Rose’s Colored Glasses” by clicking here. The film’s composer is George Zarr, with screenplay by George Zarr and Kevin Hanna, and is directed by Kevin Hanna.